This weekend, Modern Baseball were set to perform at Reading and Leeds which they would follow with a tour beginning next week in Australia with Iron Chic. 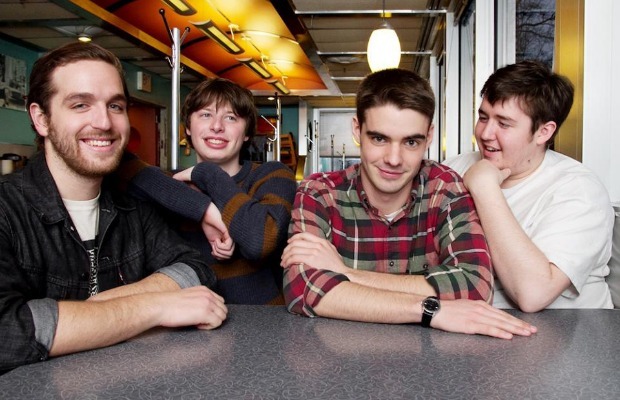 Unfortunately they've had to cancel all of those dates as vocalist/guitarist Brendan Lukens explains that “it's time to put everything else aside to focus on making steps towards positive mental health.” Only time will tell if this will additionally affect the band's next tour with PUP, Jeff Rosenstock and Tiny Moving Parts, which begins on October 27. At this point, Lukens' well-being is priority number one so if he needs more time, so be it. You can deal. I just wanted to thank everyone for being so understanding and supportive during this time. It is with much difficulty to announce that we unfortunately have canceled our upcoming plans of playing Reading and Leeds as well as our upcoming Australian tour with Iron Chic. I've spent most of my life struggling with anxiety and depression, and after the last few months it's evident that it's time to put everything else aside to focus on making steps towards positive mental health. Like I said before, thank you to everyone who has been so understanding through all of this, the continuous support Modern Baseball and myself have received since 2011 is so amazing; and I (we) could never thank you all enough. We promise to make it to the UK and Australia soon, until then keep doing what you're doing yall.